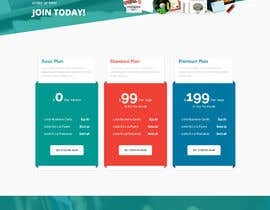 We have an existing website but I want to create a "subscribe now" landing page. The website's back end allows us to use pre-made pages or we can upload our own CSS code. 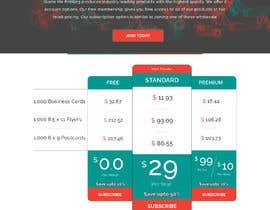 I am using Paypal Payments pro for the recurring billing and need to create a clean, elegant page for our subscription. 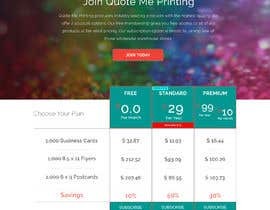 The website address is www.quotemeprinting.com. You can click on the banner at the top to be directed to the current page, but I'd like to remove the guts of it and replace it with a "Join Today" type of page and a link to our paypal subscription button (code is located in the attached Word document). 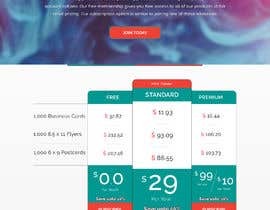 We are a print company with a subscription concept similar to Costco. 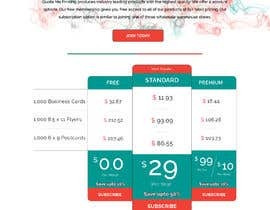 Pay an annual membership fee and get wholesale pricing. So, that's the basic concept of what I need designed. You can see the limited imagination/graphic design skills I posses in the graphics in the banner across the top. The idea for this page is to also be used for leads driven there by our online ads. I've attached a screen shot of the back-end of the site where I would upload the custom CSS. Not sure if that helps in any way, but figured I'd include it. I am also attaching a rough layout with the language I'd like to use. Please make each graphic you create available to be edited in a photoshop file format. Please also find the attached pdf with color codes for the teal and orange we use on the site. Please check demo link that I commented on entry #14 . Thank you! check 15, i have made design according to your desc. please provide the comment. working on it sir, dont close. Hi contest holder can you DM me,there are somethings i want to talk about. I"m not sure how to DM you without you submitting something. I like the feel of that. Is it possible to make it all a little smaller so it isn't so large? Sure. Feel free to initiate a chat if you can.